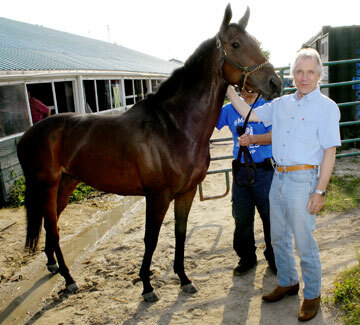 This is my friend Joe Trdak's "Lucky Melissa" - she was very small for a thoroughbred and about 2 years old here. No one wanted to buy her at auction, but Joe got her for approx. $1200. She ended up winning over $160,000 in purse money. 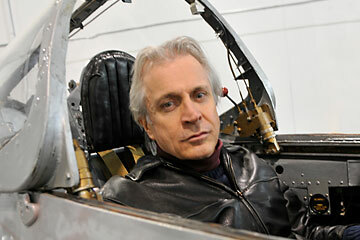 Sitting in the cockpit of a 1954 Russian MiG-15 (see my story published in GoodLife Magazine about Richard Cooper. My favourite aircraft designer is "Kelly" Johnson (F-104 and SR-71) and my favourite airplanes include the Lockheed Constellation, the P-51 Mustang and of course the Starfighter. 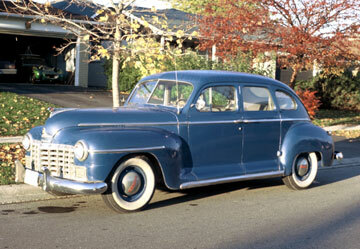 My 1948 Dodge Sedan. It had more chrome on the inside than it did on the outside, push button start (yeah, like that's new), heavy, solid, steel frame and bumpers - the police loved to pull me over just to check it out and look under the hood. 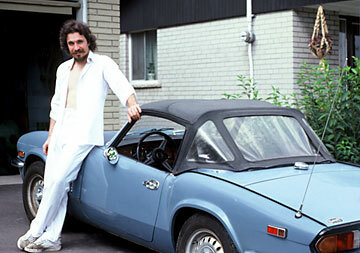 Back in University days with my favourite sports car - a 1975 Triumph Spitfire. It was a beautiful riding highway car with very sleek styling - even though it did have a small, lightweight motor. I'm still a car guy. Off to a Halloween party in the '80s - in the 1948 Dodge sedan, of course. My girlfriend (at the time), Shannon is a descendent of the great Fay Wray (born in Alberta). 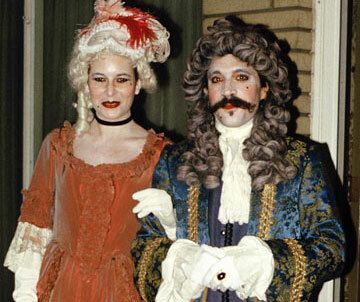 You may not be able to tell here, but underneath that costume there was definitely a family resemblance. I never heard her scream - FYI.